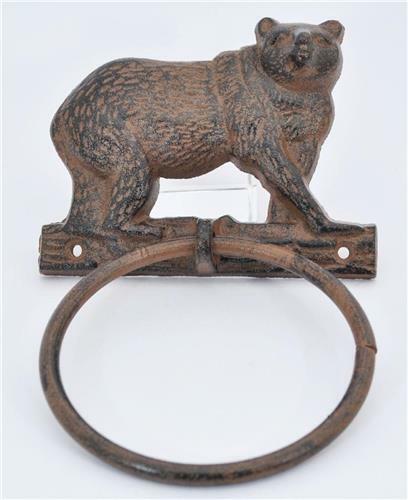 Great Vintage Look Cast Iron Bear Wall Mount Towel Ring. All cast iron with ample mounting holes that will give the perfect primitive look to your home, bath, kitchen, cabin, or office decor. A great sturdy towel ring at a real bargain price. IMPORTANT SHIPPING NOTE: This will ship USPS Priority Mail for faster delivery to you! Our SHIPPING includes Delivery Confirmation so you may track your purchase. Thank you for shopping with Tom & Teri's Andtiques!